Depending on where you live, your local shops may not always have the variety you'd prefer. I live in a place like that and, although the place isn't that small, I often find it difficult to find what I'm after. This became very clear a little while ago when I needed new brown socks. For some reason brown socks were unobtainable, basically if wanted something outside the black and grey varieties you would have a difficult time obtaining what you were after. I'm not sure why this problem suddenly arose but I suspect it's down to the selection gradually getting poorer. I also buy a lot of my clothes when I'm travelling, so I may just not have noticed this development until now. Anyway, as any gentleman would know, socks are important and a drawer full of only black socks just won't do. In situations like this when I can't get hold of what I want, I do one of two things. I can't really think of any other solutions. I either wait until the next time I go to London or Paris or somewhere else able to cater for my needs. This time I didn't have any immediate plans of going anywhere, so I did what I often do, I did my shopping online. This was the first time I was buying socks online, so I did a quick Google search and found the most brilliant site providing everything I wanted and then some. The Sock Shop have forty brands to choose from in the male section and there is definitely something there for every occasion. Safe to say I managed to find plenty I was interested in and I ended up buying 24 pairs. 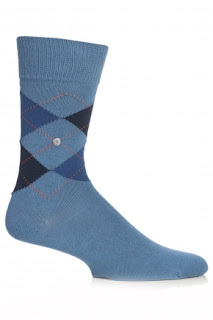 I decided to go for a mix of brands including Burlington, Falke, Pringle and Richard James. Colourwise I stuck mainly to brown and black, I'm a somewhat conservative sock wearer, but I experimented a bit with different patterns. Maybe one day I'll take it a step further and buy some eyecatchers as well. Anyway, the important thing is that I was happy with both the shopping experience and the quality of the socks and, although this will keep me with socks for a while, I'm quite certain I'll be back in the Sock Shop in the not too distant future. Below are a few examples of the socks I went for (the photos are from the Sock Shop web site). 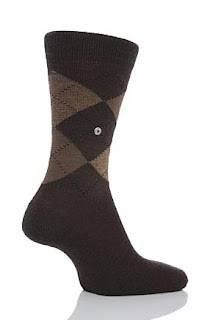 I believe the safest, or least adventurous if you like, socks to go for are Argyles. 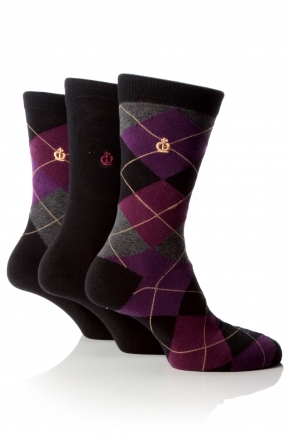 It is a classic pattern and I bought several them, both Burlingtons and Jeff Banks socks. Although Burlington socks are of the best quality and as comfortable as it gets (the two top photos), I have developed a particular liking for the colours and pattern of the Jeff Banks Argyles (third photo from the top). As I said above I also went for some slightly more experimental patterns and both Pringle and Richard James fit the bill perfectly. The large polka dot pattern is quite bold and is definitely there to be noticed but the brown base colour makes them work well with brown shoes. 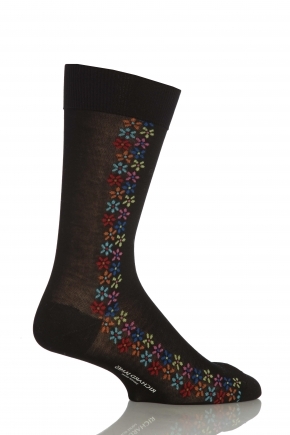 The flower patterned socks from Richard James is just lovely and the very fine, 100% cotton, fabric makes them perfect for hot summer days.